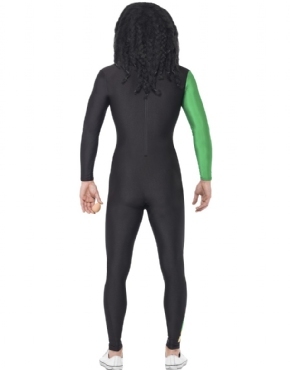 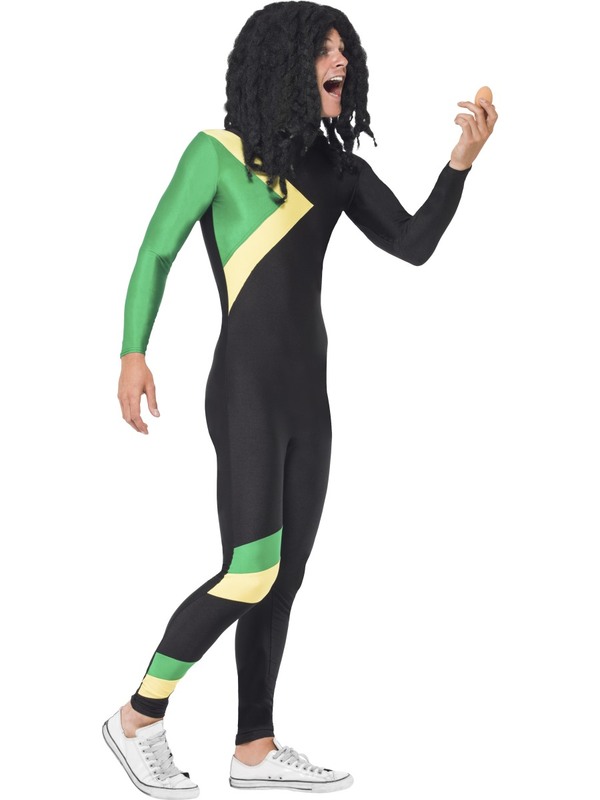 Our Adult Jamaican Hero Costume inspired by that worn in the 1993 Film 'Cool Runnings' features a Black All in One Jumpsuit with Green and Yellow Stripes. 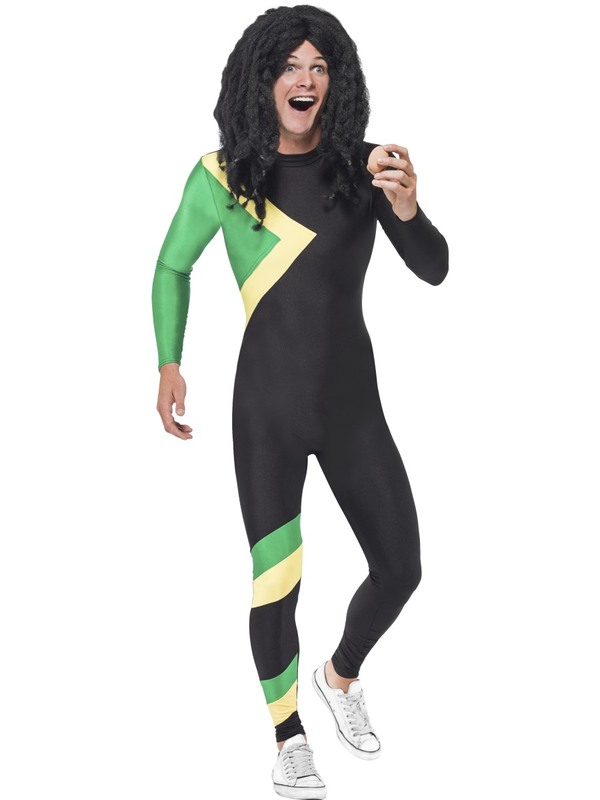 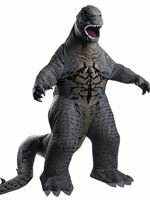 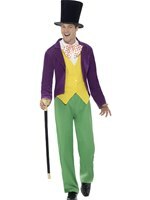 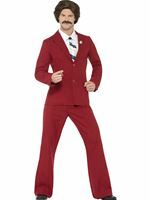 Costume features a velcro fastening on the crotch. 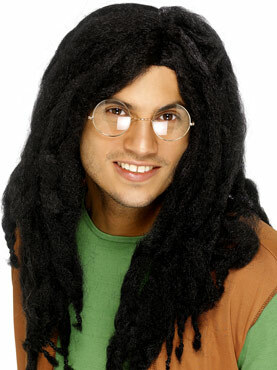 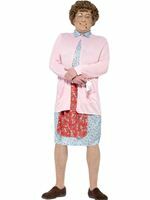 Please note that the Wig is not included.